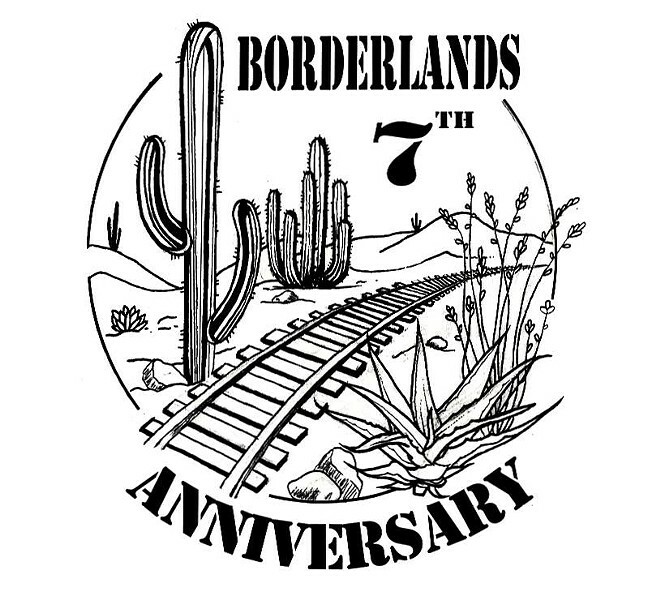 Borderlands Turns 7. Borderlands Brewing Company is celebrating its seventh birthday, which I guess makes it one of the older breweries in Tucson. They’re planning a whole weekend of celebrations for the occasion, including performances by the local bands Black Cat Bones, Zero Miles to Empty and Kevin Pakulis. Participating food trucks include Blacktop Grill and Substance Coffee Diner. Festivities run from Friday, March 22, to Sunday, March 24. 119 E. Toole Ave. Details here. Goliath: A Story Retold. So, we all know the story of David and Goliath. I say “David,” you say, “Go, underdog!” I say, “Goliath,” you say, “Booo!” But wait a minute! No one ever really heard Goliath’s side of the story, did they? In this show, choreographer Ashley Bowman has used the music of recording artist, songwriter and composer Zack Hemsey to tell that story. In this version, he’s a lonely, wandering anti-hero, just trying to find his own purpose in a world full of mythical creatures and discoveries. In David, he finds a powerful foe who provides the key to understanding. Goliath is danced by Marquez Johnson, David is danced by Jeffery Griffith, and a cast of eight dancers supports. 7:30 p.m. on Thursday, March 21, Friday, March 22, and Saturday, March 23. 2 p.m. on Sunday, March 24. Pre-concert talk with the choreographer begins a half hour before showtime each day. Saturday night performance will be ASL interpreted. Stevie Eller Dance Theatre, 1737 E. University Blvd. $32. Details here. Fourth Avenue Spring Street Fair. The Fourth Ave. Street Fair is one of those events that makes you hyper-aware of how quickly time is moving… didn’t we just have the winter street fair? Oh, that was four months ago? What year is it? How old am I? It’s the perfect way to soothe your angst about the passage of time, and also the perfect way to spend a March afternoon in Tucson. It brings more than half a million people to our sweet desert town, and brings you a perfect opportunity to get some shopping done for Mother’s Day, Father’s Day and all those spring weddings and birthdays coming up. 10 a.m. to dusk Friday, March 22 through Sunday, March 24. Fourth Avenue. Free. Details here. Spring Break! Family Fun Day at the Farmer’s Market. 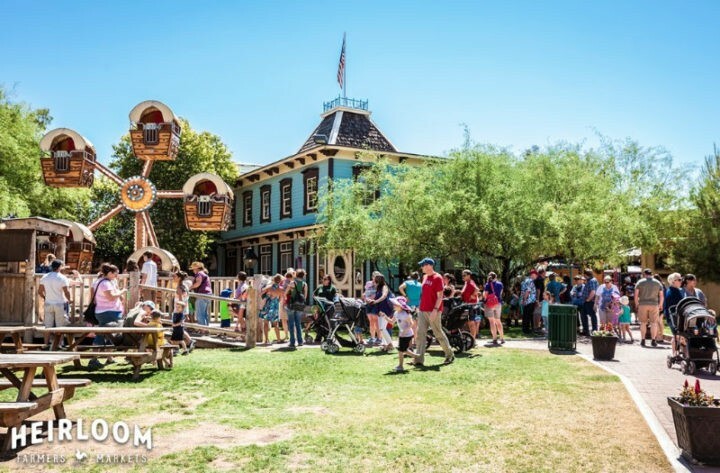 Trail Dust Town and the Heirloom Farmers Markets are hosting a day full of fun for kids, families and anyone who enjoys food. So, everyone! Fifteen local vendors, live music, face painting and a kids’ area with hula hoops are just some of the offerings. They’ll also have $6 wristbands to provide unlimited access to the Ferris wheel, carousel and train. Many of the gift shops will be open as well, and Trail Dust Town’s newest neighbor, Millie’s Pancake Haus, will be serving breakfast and lunch. Let the games begin! 9 a.m. to 1 p.m. Friday, March 22. Trail Dust Town, 6541 E. Tanque Verde Road. Free. Details here. The Illusionists. People on fire! People being cut in half! People making stuff disappear! People finding your card in really strange places! If you don’t think you like magic shows, maybe you just haven’t been to a really cool one yet. 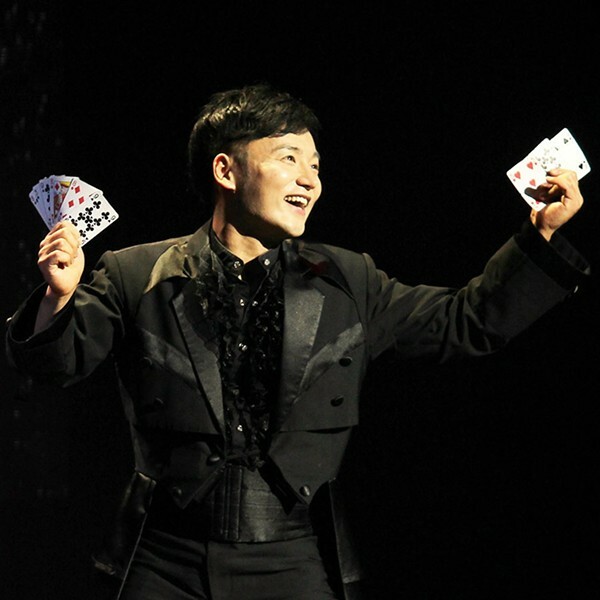 And The Illusionists, a direct-from-Broadway show featuring five of the world’s best illusionists, has shattered box office records all over the world with how good it is. So this would be a perfect example of a “really cool one.” Should you check it out? Abracadab-duh. 8 p.m. on Friday, March 22. 2 and 8 p.m. on Saturday, March 23. Centennial Hall, 1020 E. University Blvd. $10 off for students and $5 off for seniors and military (except for seats in the Gold Circle). $19 to $90. Details here. BREAKDOWN/BREAKTHROUGH. The Carport Theater is putting on this community performance event they’re describing as “metaphysical vaudeville,” which, as far as we’re concerned, should be a more common type of vaudeville. 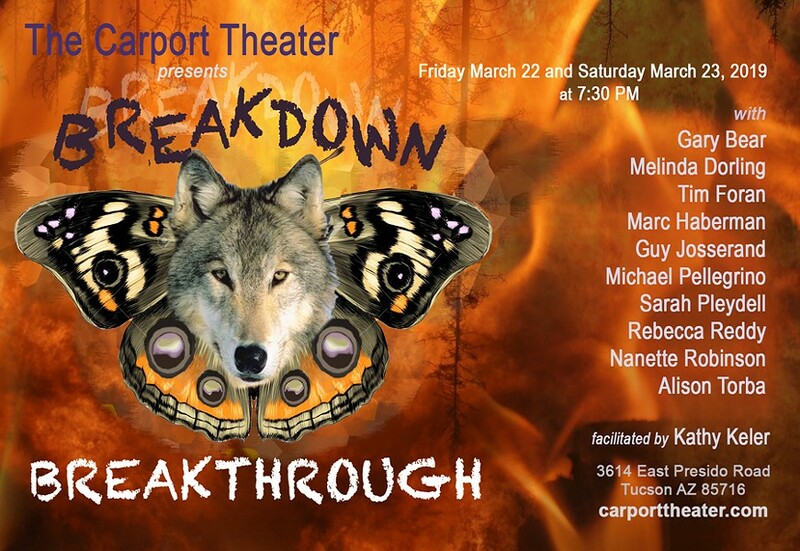 Through audience participation in a series of scenarios—one in which a young girl’s life is torn apart and she’s reborn as a she-wolf, one in which a betrayal is revealed, one in which someone recognizes an urgent, unmet need—the show tackles major issues like finding meaning and happiness. One of the lines in the show, for example, is, “Does my suffering offend? It may. Suffering offends both the one who tells and the one who listens.” 7:30 p.m. Friday, March 22 and Saturday, March 23. The Carport Theater, 3614 E. Presidio Road. Free, but reservations required, and can be made at carporttheater.com. Details here. The Secret Garden. We could all use a story about flowers and growth and redemption right about now, right? And we could especially use it in musical form. The story of little Mary Lennox’s search for the secret garden, and the life lessons, lifelong friends and life force she finds within herself along the way, is a timeless classic. Based on the 1911 novel by Frances Hodgson Burnett, this Tony Award-winning musical will have you feeling happy and hopeful. 7 p.m. Friday, March 22, and March 29. 2 and 7 p.m. Saturday, March 23, and March 30. 2 p.m. Sunday, March 24, and March 31. Berger Performing Arts Center, 1200 W. Speedway Blvd. $20 GA, $15 seniors/students/military, $10 kids 12 and under in advance. Prices increase $5 at the door. Details here. Heather Hardy Band. 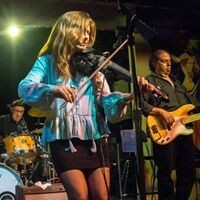 Heather Hardy has been playing piano since she was six and violin since she was nine, and has been featured on more than 200 albums in her career. Now, the blues artist is based in Tucson, where she plays with her band (though she spends several months of the year performing in New York). The band is playing at Monterey Court in this fundraiser for TIHAN, a local network of religious, secular, corporate and nonprofit organizations that provides support for people in Tucson living with HIV. It’s some seriously good music for a seriously good cause, so come on down to support and enjoy! 7 to 10 p.m. Friday, March 22. Monterey Court Studio Galleries and Café, 505 W. Miracle Mile. $20 donation—or whatever else you’re able to give on top of that! Details here. Vegan Brews & BBQ at Crooked Tooth. 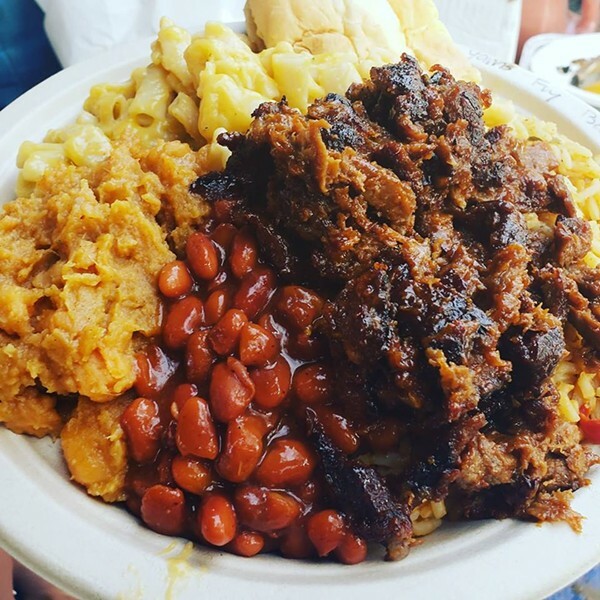 Southern Fried Vegan is bringing their signature sustainable flavors to Crooked Tooth Brewing. Their soul food menu includes fried chickun, BBQ, mac ’n’ cheeze. jambalaya, beer-cheeze battered Beyond burgers, Cajun corn, totchos and more. 1 to 6 p.m. Saturday, March 23. 228 E. Sixth Street. Details here. Speakeasy Party. While prohibition of alcohol was tossed out long ago, our fascination with the era is anything but. Espresso Art Café is hosting a special speakeasy party where you get to look the part, and drink the part as well! This annual party includes live music, dancing and drink specials. So you better dress up in your most dapper of attire and head on down before the Great Depression strikes! 8 p.m. to 1 a.m. Saturday, March 23. 942 E. University Blvd. Details here. WineDown with Wildlife. The Arizona-Sonora Desert Museum is hosting their first wine festival! At the soiree, you’ll get to sip the best local and regional wines and celebrate World Wildlife Day at the same time. Wine producers include: Page Springs Cellars, Del Rio Springs Vineyard, Deep Sky Vineyard, Elgin Winery, AZ Hops and Vines, Lightning Ridge Cellars, Sonoita Vineyards and more. Also included are local foods, stargazing, live music and photo booths. Sponsored by Tucson Foodie. 6:30 to 9:30 p.m. Saturday, March 23. 2021 N. Kinney Road. General admission $40. Details here. Illusionist Rob Lake. Rob Lake has appeared and disappeared in front of audiences all over the world. Named “The Top Illusionist in the World” by Caesars Entertainment, Lake also appeared on season 13 of America’s Got Talent, and in 2008, he became the youngest magician in the world to receive the Merlin Award, the magic community’s highest honor. So yeah, he’s a pretty big deal. And who doesn’t love watching an entire man and entire motorcycle disappear from a stage in a blaze of fiery glory, or to watch someone safely be cut into several pieces? Don’t miss the magic. Doors at 7 p.m., show at 8 p.m. Saturday, March 23. Desert Diamond Casino–Sahuarita, 110 W. Pima Mine Road, Sahuarita. $32.50 to $52.50. Details here. Thunder and Lightning Over Arizona. No, it’s not monsoon season yet. 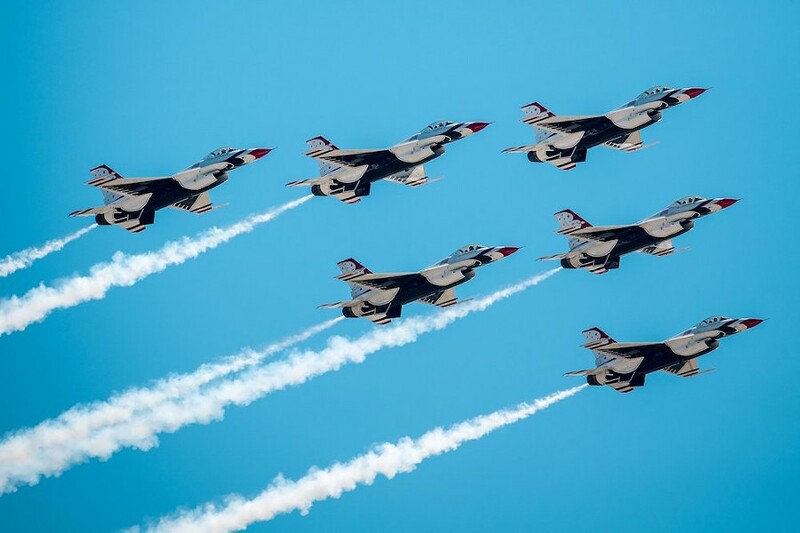 It’s Davis-Monthan’s free air show and open house! See aircraft like the Air Force Thunderbirds, an A-10 Thunderbolt and a 22 Raptor, and watch a demo by U.S. Customs & Border Protection. The Red Bull helicopter and skydiving team will also be around to ooh and awe over, as will a shockwave jet truck. Big names in the world of aerobatic pilots, like Kirby Chambliss, Kent Pietsch and Vicky Benzing will be soaring through the air overhead, making you wonder why you never ended up pursuing your childhood dream of becoming a pilot. 9 a.m. to 5 p.m. Saturday, March 23 to Sunday, March 24. Davis-Monthan Air Force Base, 5405 E. Granite St. Free. Details here. The Works of Andrew Lloyd Webber & Stephen Sondheim. The phaaaaantom of the opera is theeeeeere. And so is Sweeney Todd, the Demon Barber of Fleet Street; Joseph and his amazing technicolor dreamcoat; and Rose and Louise from Gypsy. Musical theater nerds unite! The works of two of the art form’s most iconic trailblazers are coming to the stage in one night full of incredible melodies, brilliant lyrics and an audience full of people who will probably be singing along. TSO and a cast of Broadway singers will perform selections from Webber and Sondheim’s works that will have you getting ready to join a local theater troupe. 7:30 p.m. on Saturday, March 23, and 2 p.m. Sunday, March 24. Tucson Music Hall, 260 S. Church Ave. $15 to $96. Details here. Tohono Chul Spring Plant Sale. Maybe you’re good at keeping plants alive. Maybe you’re not. But hey, the only way to get better at something is to give it another try, right? With more than 1,200 species of plants, the Tohono Chul Spring Plant Sale is bound to have something sturdy enough to thwart even the most notorious “I forgot to water them for three weeks!”ers. You can even select specific blooming vegetation to attract local cuties like butterflies and hummingbirds. 9 a.m. to 5 p.m. Saturday, March 23, and 10 a.m. to 4 p.m. Sunday, March 24 Propagation Area at Tohono Chul, 7211 N. Northern Ave. Free admission during the sale. Details here. The Urban Garden Festival + Plant Sale. 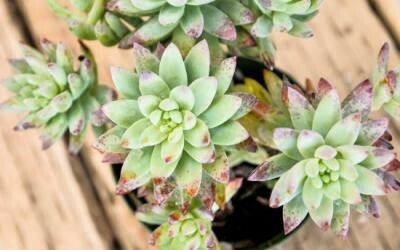 Hosted by the Tucson Botanical Gardens, this event is dedicated to reconnecting people to their food while viewing (and purchasing) plants. There will be cooking demonstrations, food vendors, live music and more. 10 a.m. to 2 p.m. Sunday, March 24. 2150 N. Alvernon Way. $15. Details here. Park Fest 2019. The Palo Verde Park Neighborhood Association is hosting their inaugural Park Fest event, a celebration of music, food and community connection. Park Fest 2019 features four music stages and three food trucks. The music lineup includes Chuckwalla, Paul Martin, Alégrate and more. Participating food trucks are Haus of Brats, Food Groupie Cafe and The Curry Pot. 3 to 6 p.m. Sunday, March 24. 425 S. Mann Ave. Details here. To Kill A Mockingbird. Turner Classic Movies’ Desert Hollywood chapter is screening the film adaptation of Harper Lee’s groundbreaking novel for their Big Screen Classics series. This multiple Oscar-winning legal drama features a powerful performance by Gregory Peck as Atticus Finch and a young Robert Duvall and Boo Radley. This event also includes a film discussion after the screening. 4 to 7:40 p.m. Sunday, March 24. At the AMC Loews Foothills 15. 7401 N. La Cholla Blvd. $15. Details here. The Greatest Showman Sing-Along. The Fox Theatre is showing a special screening of this recent musical based on the life of P.T. Barnum. More than a single-along, the Fox is also hosting a circus-inspired pre-show event, including fortune-telling Zoltar, mask fun for kids, a raffle and a museum of living oddities and curiosities. 3 to 6 p.m. Sunday, March 24. 17 W. Congress St. $5. Details here.